Some #WIAW love from Miss Peas & Crayons! So much green. So many noms. <3 Also, we really need to go to the store. I'm for real. Stick to a plan (I.e. Couch-to-5K), and only increase your weekly mileage by 10-12%. In terms of speed, please remember that the slower you go, the longer you can go. It's easier said than done, but run your own pace, and don't compare yourself to others' abilities. I would totally encourage people to run with a partner or a group, but figure out your own pace first. People often get discouraged and intimidated by others who "know what they're doing", and often in running, when people are "faster". So go run by yourself. It gives you time to think, focus on you, and consider all of life's problems. You'll also feel less intimidated, more confident, and realize your own potential. Running is gross. And that's perfectly okay. You blow snot rockets. You huak and spit. When in doubt, get it out, and know that no one will judge you for it. Yoga, cycling, spinning, the elliptical, swimming, strength/weight training. For a variety of reasons, including keeping you from burning out on running, preventing injuries by utilizing supporting/synergistic muscles, and keeping balance on many levels (including your emotions). Sometimes it's just nice to wake up and not worry about how far, how fast, how slow, how cold, hot hot, etc. you have to run. Ladies: Get a good sports bra. You become more hungry. In fact, RUNGRY. At some point, you might justify your calorie craving by blaming your last run. And eventually, you get HANGRY. Don't listen to other peoples rant and rave over shoes. Your feet are NOT like your friends', or the person commenting on your post on a running forum, or from the random search you did. 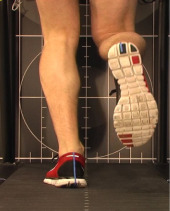 You could do your own "Brown Bag Foot Test" at home to see what type of foot you have, but you're just better off going to your local running store and having your gait analyzed by one of their fantastic staff. They will tell you your foot type, which means how your foot falls onto the ground, and what type of shoe would be best for your foot, and your goals. You WILL get frustrated with yourself. You will get out of breath. You will cry. You will want to give up. You will wonder why you began in the first place. You will doubt your abilities. You will question everything in your life that ever existed. But you'll get over it, and come back harder and stronger. No one told me that running is hard. And it's worth it. Of course, I have several more tips and bits of advice, in which I'll detail in upcoming posts. What I want to reiterate is that you can CONTACT ME AT ANY TIME if you have ANY questions. No concern is stupid, especially when it comes to something that will make you feel more confident and comfortable about running. My best advice ever is to put your worries aside, and let your feet and legs take care of you. Listen to your breath. Sometimes to feel "alive" means that we have to suffer a bit. You'll love it. One for Wednesday: Runners: What was your biggest worry when you first started running? LOVE. And the OK GO video is the boss. I think I shall to this--you will get chafed. Regardless of size or shape, you will get chafed. Invest in body glide and get over it. Great post! I wish you could've seen my face at the mention of "snot rockets"! LOL. The biggest thing I learned when I started running was how important it is to get properly fitted for shoes. Once I did that, it solved a lot of my problems!